It might have been replaced, but owning a first-generation Leaf is still a good bet. That’s because there are now more charging points as the electric vehicle infrastructure slowly takes off. 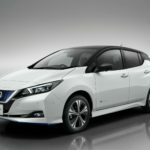 Nissan has confirmed the evolution of the Leaf electric vehicle (EV) by launching two versions of the Leaf 3.ZERO. The company says this new offer will broaden the appeal of EVs to more customers, and both models are ready to order from January 9, 2019. 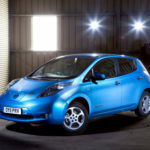 Electric vehicles are more popular than ever with May seeing an 18.7 per cent increase in the number of new pure electric vehicles registered, according to the SMMT. For motorists looking for a used electric vehicle, vehicle valuation experts at HPI have selected five of the best electric vehicles to buy under £10,000. Nissan is celebrating the 100,000th delivery of the LEAF car this month in Europe. Globally, over 320,000 Nissan LEAF have been sold, making it the most sold EV in the world. 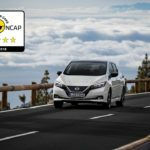 The European New Car Assessment Programme has awarded the new Nissan Leaf a 5-star rating. 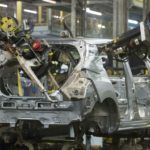 The Leaf is the first car to be assessed against Euro NCAP’s improved and extended protocols for 2018. The 2018 protocol sees the introduction of a raft of new tests which address key crash scenarios involving cars, pedestrians and now also the growing number of cyclists. 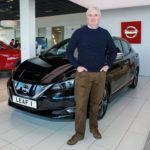 As European orders for the all-new 2018 Nissan LEAF pass 10,000 in just two months, Nissan GB has launched a new online reservation tool that will make ordering the new LEAF simpler.